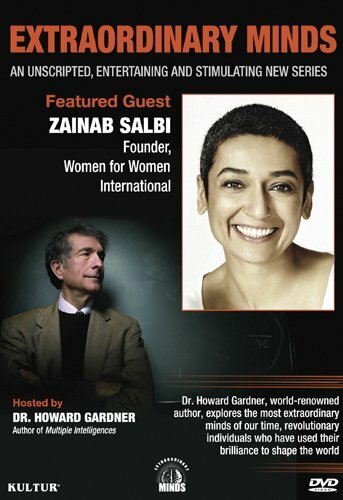 Zainab Salbi is Founder and CEO of Women for Women International (WFWI), a humanitarian and development organization helping women survivors of wars rebuild their lives. Since 1993, WFWI has helped 299,000 women survivors of wars access social and economic opportunities through its educational and training programs, and has distributed more than $95 million in direct aid and micro-credit loans. WFWI was awarded the 2006 Conrad N. Hilton Humanitarian Prize, becoming the first women's organization to receive this honor. Salbi is the author of two books, including the bestseller Between Two Worlds: Escape from Tyranny: Growing Up in the Shadow of Saddam (with Laurie Becklund). Salbi and her work have been featured on The Oprah Winfrey Show and in other media, and she has been honored by numerous organizations around the world for her exceptional service.